I love wearing animal print and leopard in particular. I treat it as a neutral because there are very few things it doesn’t compliment. Those with a penchant for pattern mixing can add florals or stripes by way of contrast and those who want to use it to add impact to a simple outfit can add it as a statement piece. I do both and never tire of it. The ring is a new addition to the Danon bee collection at Lizzy O. In fact there are several new lines including a different style of bee, (more of a honey bee), and pineapples which are available in both silver and gold, so do take a look. They make prefect presents. This particular leopard print is even better than most because contains has both grey and tan tones and I think it works beautifully with the tan buckle detail on my black ankle boots, and it’s these I want to showcase today. The scalloped edge is so unusual- such a subtle detail yet one which makes a big difference to the overall look. The cut is slightly scooped at the front meaning they show the narrowest part of the ankle. 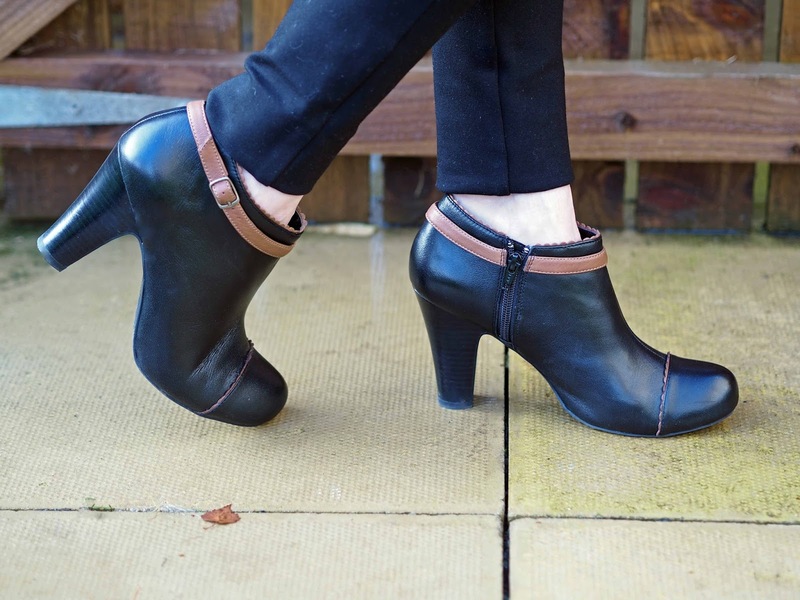 Whereas some ankle boots cut visually across the lower leg at a wider point. As well as being very flattering, it also makes them suitable for wearing with dresses as they look elegant and not at all “clumpy”. 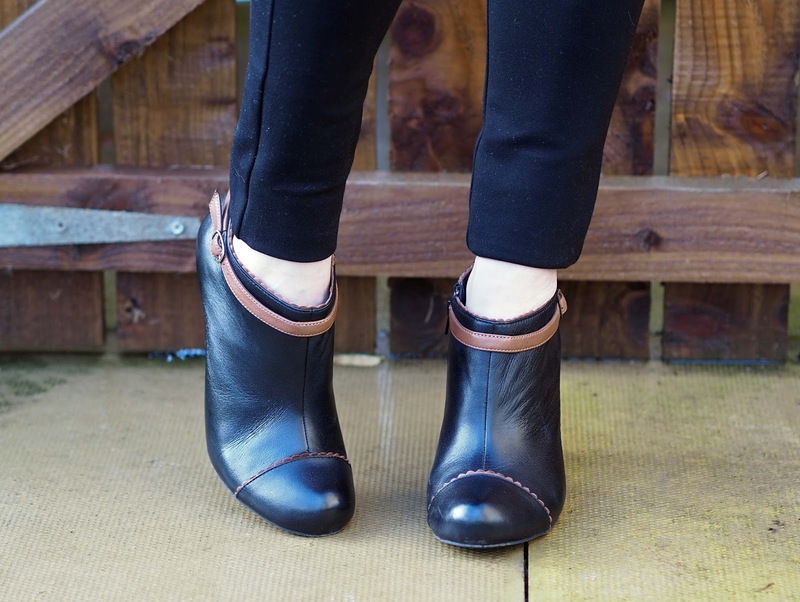 They are also incredibly comfortable and are composed of beautifully soft leather. The are from Lotus and I went to their SS17 press day in London at the start of the month. There are some exciting styles coming up and I particularly like the wedges (on the third photograph down from here). And for those of us with shoe-loving men in our lives, the men’s styles were very nice indeed too. I got to the event towards the end of the day so it was nice and quiet. Freelance illustrator @amanda_alice was doing mini portraits. I love the long fluttery eyelashes on the picture she drew of me. And the lovely Sarah Morten @smorts was doing hair braids. When we got chatting, I discovered she had done the hair and make-up for several brides in the Skipton area. It was another fantastic event and I am very much looking forward to seeing these new designs hit the website. *Jolly Jumper (sleeve just seen), £45 Sugarhill Boutique at Aspire Style. *Disclosure: These items were gifted and this is a sponsored post written in collaboration with Lotus Shoes. All opinions are 100% honest and all content is my own. Thank you for supporting the brands that support What Lizzy Loves. Love the animal print coat. I must treat myself to some of your jewellery, love bees and that ring is fab as I think I said on Insta. Fab sketch of you, and pretty hair braid, nice to hear it was a fab event! You are right about this leopard, the colour combinations are really unusual & quite striking. The tight shot of your ring doubles as an excellent close up of the coat fabric & such a pretty shot! 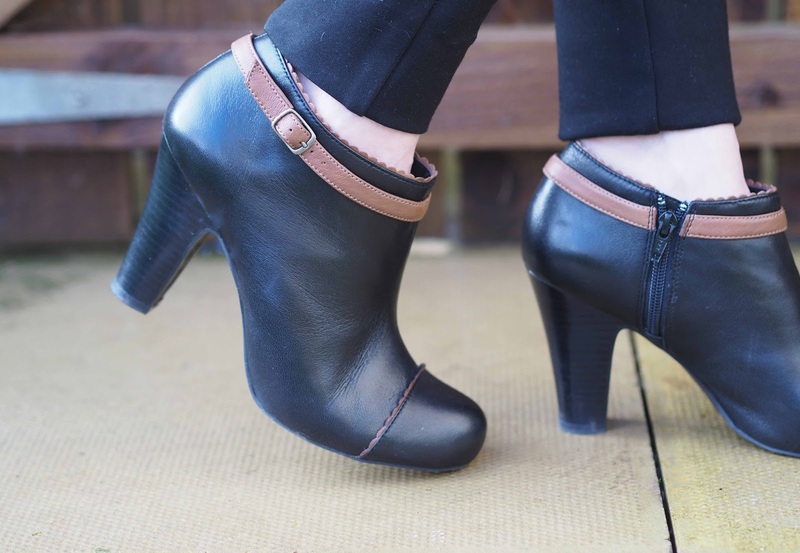 The ankle boots are quite unusual and I can see how they would look good with skirts too. What's coming from Lotus looks great, particularly the wedges with orange ribbons.